Can battered UK manufacturers keep up with post Brexit demand? UK manufacturing is on the cusp of a revival say insiders but is an industry that has suffered 50 years of gradual depletion up to it? The emerging renaissance in UK manufacturing has been driven by the rising cost of overseas production, particularly in China, and an increased need for flexibility in supply chains. And now that the UK has voted to leave the European Union, optimists believe demand for local manufacturing will grow. However, the manufacturing industry has been decimated since the 1970s and 1980s. The UK fashion industry is expected to be one of the big Brexit winners. Around 100,000 people are now employed by the UK’s clothing and textile industry. This is actually the highest number since 2007, but is still dramatically less than the early 1970s, when it provided jobs for more than 1 million people. 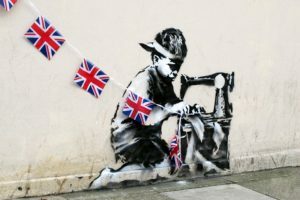 A recent report from the UK Fashion & Textile Association (UKFT) this summer revealed a 7.6% increase in the number of UK companies manufacturing textiles and clothing over the past year. This is clearly a break from a long-standing downward trend but if Brexit does trigger a sudden rise in demand can the much depleted sector keep up? UK factories no longer have the capacity for volume manufacturing, so meeting any boom in demand will be far from easy.